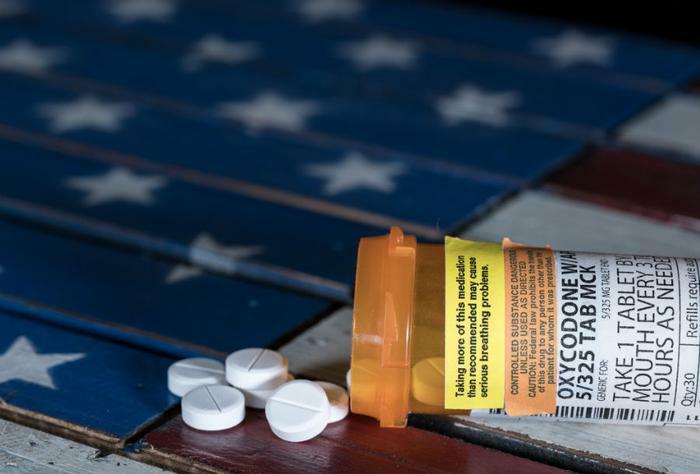 The Trump administration has reportedly drawn up a plan to fight opioid addiction that includes the death penalty for drug dealers, in some cases. In an exclusive report, Politico cites internal documents that it says have circulated among administration officials in recent weeks. It says the plan calls for new treatment and preventive measures sought by many public health officials, but it also takes a harder line on law enforcement. The report drew a strong reaction from some Democrats. Sen. Edward Markey (D-Mass.) released a statement, saying the report -- if true -- would be a major misstep in dealing with the opioid epidemic. Markey warned that enacting what he called "extreme proposals" would backfire, perpetuating a stigma associated with opioid use disorders. "Patients and families suffering in this opioid crisis don’t need toughness, they need treatment," Markey said. The White House has not commented on the report, but Politico says the President could announce his plan early next week when he is scheduled to visit New Hampshire, a state hard hit by opioid abuse. According to the Politico report, the administration plan would change how government agencies pay for opioid drugs as a way to limit access. It would also recommend to Congress changes in the Medicaid law to make it easier for people addicted to the painkillers to get treatment. There were more than 63,000 drug overdose deaths in the U.S. in 2016, according to the Centers for Disease Control and Prevention (CDC). A large number occurred in rural New England states. Late last month, the state of Maine reported it suffered 418 drug-induced deaths in 2017. Drug overdose deaths increased by 11 percent in 2017, driven by a sharp increase in deaths due to illegal fentanyl and fentanyl analogs. At the same time, heroin deaths decreased.